Affordable Comfort in Olean. Close to St. Bonaventure University and Holiday Valley Ski Resort. 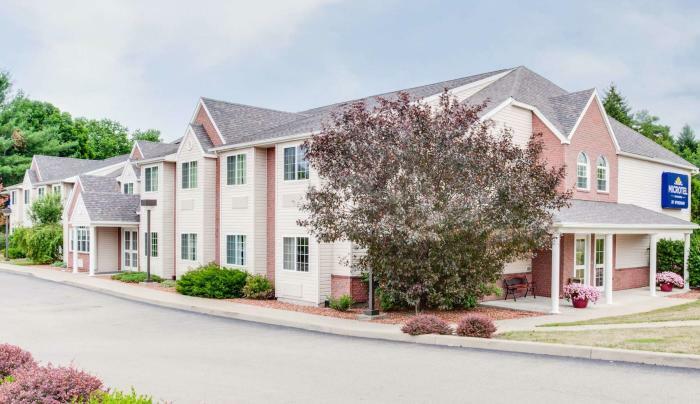 Our Microtel Inn & Suites by Wyndham Olean/Allegany hotel near St. Bonaventure University is a prime stop in the southwest corner of New York. 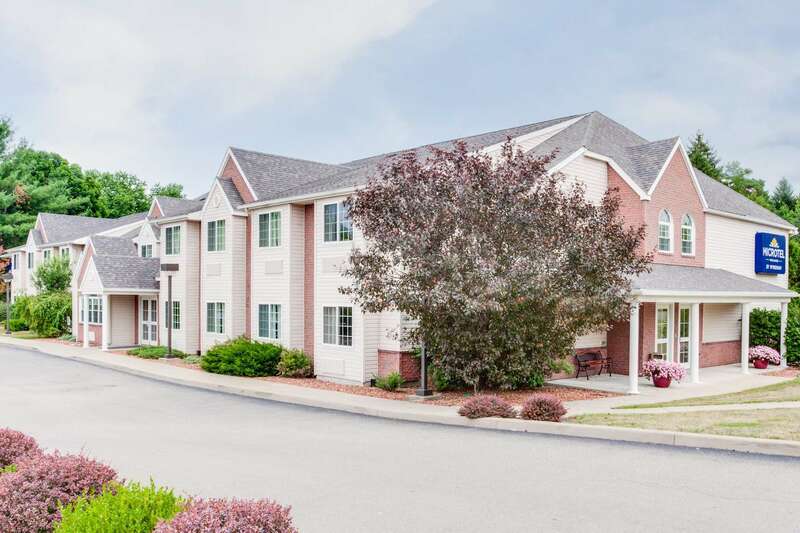 Located just 2 miles off I-86E with easy access to Holiday Valley Ski Resort and Seneca Allegany Casino, our convenient location offers comfortable accommodations at an affordable rate. Awake each morning to free continental breakfast, work out in our fitness center, and enjoy your modern room, equipped with free WiFi. Book a suite and take advantage of our laundry services. Free parking, and handicapped-accessible rooms are available at our pet-friendly hotel. Catch a baseball game, hit the links, or take a scenic walk in the park. Watch a St. Bonaventure Bonnies basketball game at the Reilly Center, just footsteps from our hotel, or play a game of your own on campus with a round of golf. Hit the slopes at two nearby ski resorts, Holimont and Holiday Valley, both about 30 miles away, or take the scenic walk around Rock City Park, about 10 miles away. The slots and tables of Seneca Allegany Casino and Allegany State Park are also nearby.